This is a re-working of my Gallery Route One summer 2015 box. 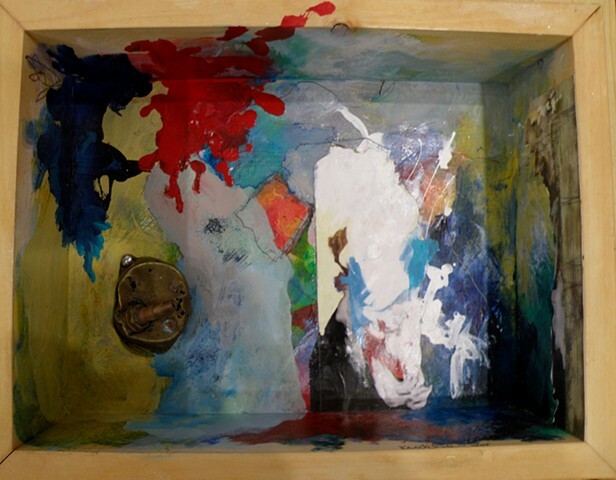 The Box Show benefits the gallery and its programs in West Marin, California. I bought the box back, not intending, necessarily, to re-work it, but I did... I have added some collage from my iPad drawing experiments, and, now that it is winter, have brought the beach roses "indoors."